Matched Betting Zest focuses on making money from matched betting and advantage play. There are various different ways to make money online and offline. 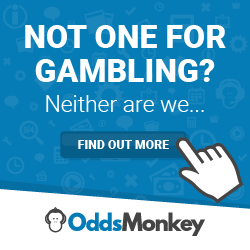 Let’s take a look at some side income ideas to go alongside matched betting. Use your PC, laptop or smartphone to give companies an insight in return for vouchers or cash payments. Use your smartphone to complete tasks and answer questions. BeMyEye. A task app that involves doing mystery shopping audits, taking photos and providing reports of your experiences. Quick and easily fits in to your daily routine. Sign up to BeMyEye with code 25p6ye via Google Play or the Apple store. Receive a percentage Cashback on your purchases of a huge range of products and services with cashback sites. Buy low and sell high is the idea when selling online. Another form of arbitrage that could be a an ideal extra income. Go undercover to assess customer service and provide reports in exchange for cash and vouchers. You can sign up to one of the below companies as a Social Media Evaluator. You will need to pass an entrance test before acceptance by the relevant company.